Opal is silica, just like quartz, agate, jasper and other silica minerals. However, opal does not have a crystaline structure, but is made up of tiny amorphous balls - lined up and organized to various degrees. Fire Opal shows beautiful flashes of reds, blues, greens, yellow - due to the amorphous balls lined up in layers - providing optical properties to exhibit strong colors. Some opals are not well organized into layers and hence, show little color. 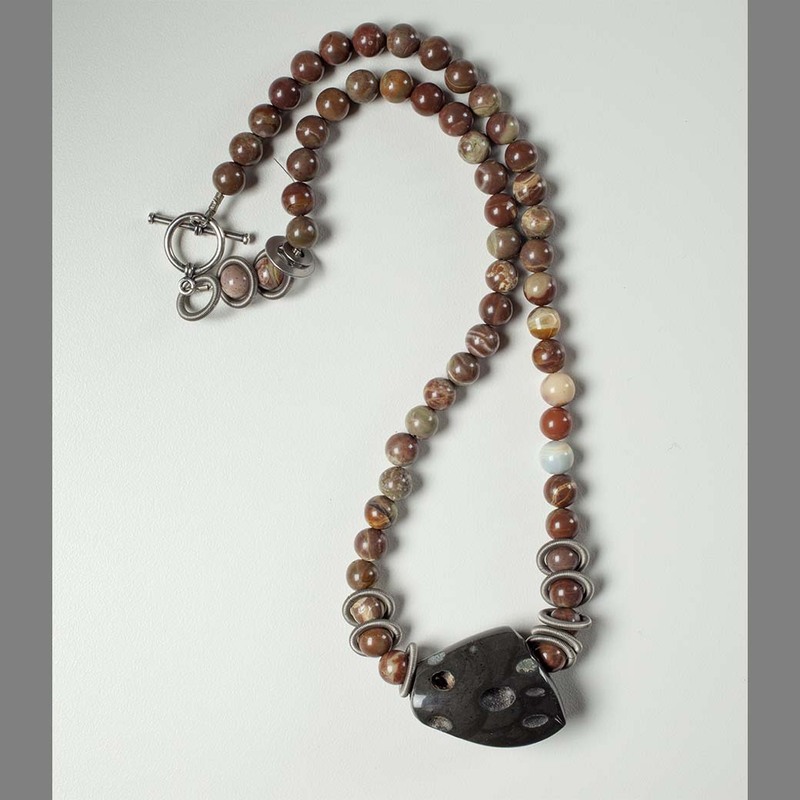 Our brownish beads are a mix of rhyolite igneous rock with bits of opal distributed throughout - groundwater has percolated through the rock, redistributing the silica to form pockets and streaks of opal. Opal Butte produces a variety of opals within the Cenozoic Columbia River Basalts. 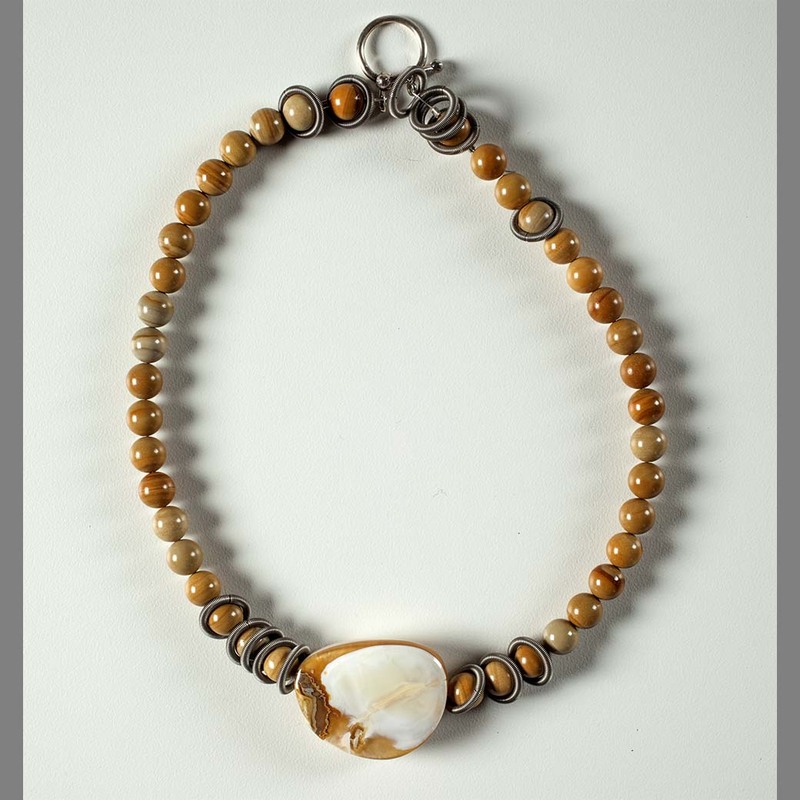 The white opal in these beads formed in interspersed rhyolite beds – the brown material of these beads.